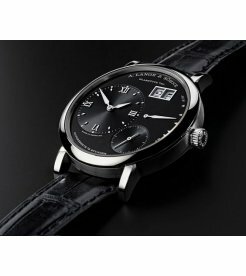 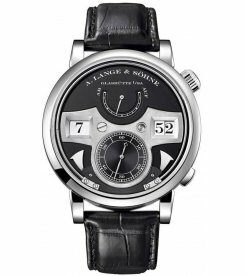 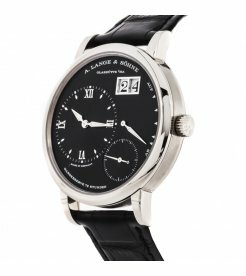 A. Lange & Sohne [NEW] Double Split Chronograph 404.032 (Retail:EUR 117600)Brand New Watch Comes With Original Box, Papers and 2 Years International Factory Warranty Full SetMore Detail Informatio..
A. Lange & Sohne [NEW] Grand Lange 1 Platinum Men's Watch 191.025 (Retail:EUR43600)Brand New Watch Comes With Original Box, Papers and 2 Years International Factory Warranty Full Set More De..
A. Lange & Sohne [NEW] Lange 1 38.5mm Mens 101.032 (Retail:HK$261,000) More Detail Information and Real Watch Photos will be provided upon Serious Order Enquiry. 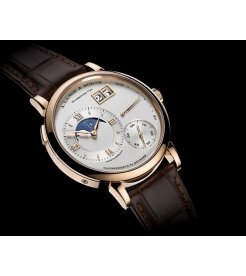 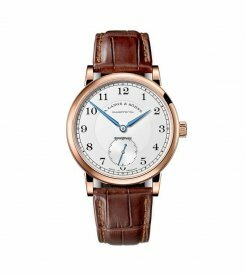 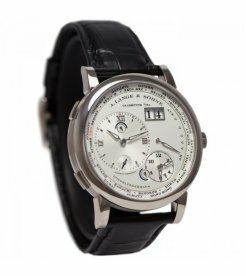 Brand New Watch Comes Wi..
A. Lange & Sohne [NEW] Lange 1 38.5mm Mens 101.039 (Retail:HK$261,000) More Detail Information and Real Watch Photos will be provided upon Serious Order Enquiry. 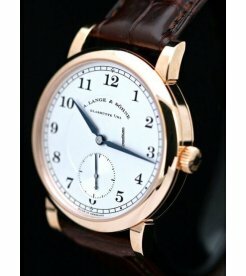 Brand New Watch Comes Wi..
A. Lange & Sohne [NEW] Lange 1 38.5mm Mens 191.021 (Retail:EUR 32.000)Brand New Watch Comes With Original Box, Papers and 2 Years International Factory Warranty Full SetMore Detail Information and..
A. Lange & Sohne [NEW] Lange 1 38.5mm Yellow Gold 101.021 (Retail:US$34,700) Brand New Watch Comes With Original Box, Paper and 2 Years Internatio..
A. Lange & Sohne [NEW] Lange 1 Daymatic 320.021 (Retail:EUR 38.700) Brand New Watch Comes With Original Box, Papers and 2 Years International Factory Warranty Full Set More Detail Inform..
A. Lange & Sohne [NEW] Lange 1 Grand 117.025 (Retail:EUR 49.800) Brand New Watch Comes With Original Box, Papers and 2 Years International Factory Warranty Full Set More Detail Informati..
A. Lange & Sohne [NEW] Lange 1 Phases de Lune 139.032 (Retail:EUR 43.200) Brand New Watch Comes With Original Box, Papers and 2 Years International Factory Warranty Full Set ..
A. Lange & Sohne [NEW] Lange 1 Time Zone 116.025 (Retail:EUR 57.000)Brand New Watch Comes With Original Box, Papers and 2 Years International Factory Warranty Full SetMore Detail Information and R..
A. Lange & Sohne [NEW] Lange 1 Time Zone 41.9mm Mens Watch 116.021 (Retail:EUR46.400)Brand New Watch Comes With Original Box, Papers and 2 Years International Factory Warranty Full Set More ..
A. Lange & Sohne [NEW] Lange 1 Time Zone 41.9mm Mens Watch 116.039 (Retail:EUR46400)Brand New Watch Comes With Original Box, Papers and 2 Years International Factory Warranty Full Set More De..
A. Lange & Sohne [NEW] Lange 1 Tourbillon Perpetual Calendar 720.032FE (Retail:EUR 318.600)Brand New Watch Comes With Original Box, Papers and 2 Years International Factory Warranty Full SetMore D..
A. Lange & Sohne [NEW] Lange Zeitwerk Minute Repeater 147.025F (Retail:EUR 443.700)Brand New Watch Comes With Original Box, Papers and 2 Years International Factory Warranty Full SetMore Detail In..
A. Lange & Sohne [NEW] Richard Lange Manual Wind 38.5mm Mens 232.032 (Retail:US$32,500) Brand New Watch Comes W..
A. Lange & Sohne [NEW] Richard Lange Perpetual Calendar Terraluna 45.5mm 180.032 (Retail:EUR 220.500)Brand New Watch Come..